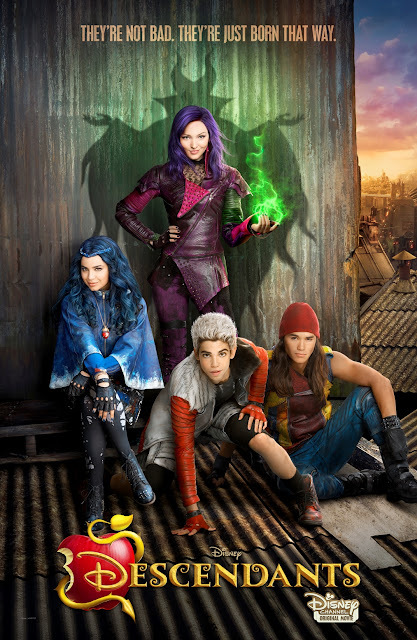 5 September 2015, Manila: Disney’s “Descendants” is a live-action movie that fuses castles with classrooms to create a contemporary, music-driven story about the challenges in living up to parental and peer expectations. Starring Dove Cameron (Disney Channel’s Liv and Maddie), Cameron Boyce (Disney Channel’s Jessie), Booboo Stewart (Twilight, X-Men Days of Future Past) and Sofia Carson as the teenage sons and daughters of Disney's most infamous villains, the movie will premiere on Sunday, 13 September on Disney Channel Southeast Asia. Driven by exciting music and performance, the story is set in the idyllic kingdom of Auradon where Prince Ben, the benevolent teenaged son of the King and Queen (Beast and Belle from "Beauty and the Beast"), is poised to take the throne. His first proclamation is to offer a chance at redemption to Mal, Evie, Carlos and Jay, the trouble-making offspring of Maleficent, the Evil Queen, Cruella de Vil and Jafar, who have been imprisoned on the forbidden Isle of the Lost. These villainous descendants are allowed into Auradon for the first time to attend prep school alongside the teenage progeny of Fairy Godmother, Cinderella, Sleeping Beauty and Mulan. As these sons and daughters of evil meet the children of goodness, their story incorporates empowering themes about self-confidence, finding the beauty within, freedom of choice, personal responsibility, teamwork, justice and empathy. The notable cast also includes Mitchell Hope (Prince Ben), Wendy Raquel Robinson (Cruella de Vil), and the Tony Award-winning Kristin Chenoweth (Maleficent). Emmy Award-winning Kenny Ortega ("High School Musical") directs, choreographs and executive-produces Disney's "Descendants."